Initially I thought that this cartoon was funny. So I drew it up and inked it. Then reading it again I thought that it wasn’t really funny it was just a retelling of events. And that was my problem throughout the whole sad story of Bill C-51. I would have loved to have waged a campaign of a political cartoon a day against. it. The only problem was I saw nothing funny in the least about it. So I made exactly zero cartoons. Still I publish this cartoon and list it under humour for the one thing I truly think is funny. 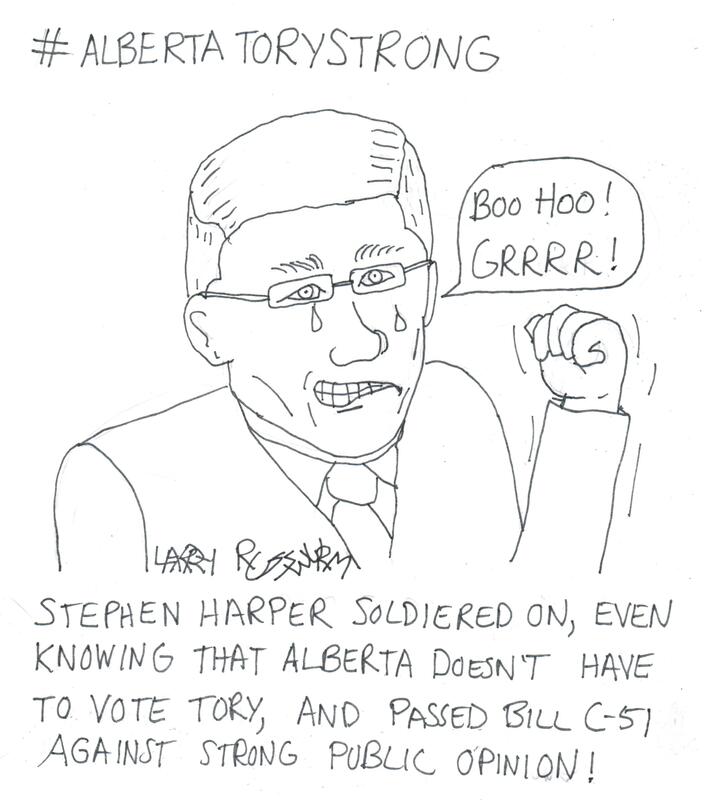 I drew Stephen Harper crying about such a minor thing as the NDP winning the Alberta election. Maybe he quickly grimaces too, But we saw that instant of tears. This entry was posted in Cartoon, Humour, Politics and tagged bad Bill C-51, Bill C-51, Bill C-51 passed while a majority was against it, Harper grimacing, Harper in tears, NDP win Alberta, nothing funny about Bill C-51, Stephen harper. Bookmark the permalink.